What type of Holter monitors do you use? How long does it take for a report to be completed? What insurance companies are you contracted with? Do you provide the necessary hook up supplies? How can we receive our reports? What services does CardioScan provide? Can CardioScan hook up our patients for us? How do we get started using CardioScanï¿½s service? In most cases, CardioScan will provide digital monitors and analysis at NO CHARGE to our participating clinics. CardioScan utilizes a variety of digital Holter monitors depending on your unique situation. We are continually expanding our monitor inventory to assure our clients the very best available in the industry. 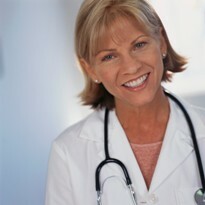 CardioScan GUARANTEES all reports will be completed and delivered in less than 8 hours. Scheduled ï¿½statï¿½ reports are GUARANTEED to be delivered in less than 2 hours! CardioScan works with most all of the major insurance carriers in the industry in addition to being a Medicare approved provider. 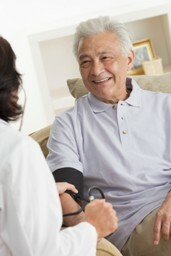 CardioScan believes in earning and maintaining our excellent client relationships on a daily basis. If you are ever decide to make a change, just let us know. You will not be bound by any contractual obligations. CardioScan can provide the disposable medical supplies necessary to complete your test. CardioScan will customize your report and its method of delivery to your needs. We can send reports via fax, e-mail or directly from our HIPAA compliant encrypted website. CardioScan currently provides digital and analog Holter monitor analysis and complete Ambulatory Blood Pressure analysis. CardioScan is proud to offer prompt and professional scheduled Holter and Ambulatory Blood Pressure hook ups at medical offices and hospitals within the Houston Medical Center. Simply fill out the easy to use e-mail link in the Contact Us Page or give us a call at 713-796-1129 and one of our client managers will immediately contact you. It is that easy! What are the possible causes or an arrhythmia? What are the basic types of arrhythmias? A digital Holter monitor is a small recording device that records the electrical activity of your heart continuously for a period of 24 to 48 hours. You wear the monitor and hit the ï¿½eventï¿½ button anytime that you experience your cardiac symptoms. These monitors will provide a complete record of your heartï¿½s electrical activity including any symptomatic episodes. Holter monitors are generally used to observe and record abnormal heart rhythms. A Holter monitor can be very effective in identifying the causes of particular cardiac symptoms that occur on a daily basis. They can also be used to provide an overall summary of your heartï¿½s activity during your normal daily activities. After the 24 to 72 hour recording period, you must return the device and your diary to your physicianï¿½ office immediately. You do not need to return the sticky adhesive pads to their office. They will upload the data to CardioScan for analysis and will review the report upon receipt. The physician will then discuss the findings with you at your next appointment. Your physician may prescribe a Holter monitor more than once if he is trying to evaluate changes in heart rhythms or the use of certain medicines. An arrhythmia is an abnormal rhythm of the heart that occurs when the electrical system of the heart is abnormal, diseased or damaged. This may cause the heart to beat too slow, too fast or in an irregular manner. Arrhythmias can be caused by a variety of things and are often difficult to identify. These causes can include genetic abnormalities of the heart, heart disease, stress, caffeine, alcohol and certain prescription and/or over the counter medicines. A personï¿½s normal heart rhythm should beat between 60 and 100 beats per minutes and gradually increase or decrease in a regular manner due to increased or decreased physical activity. Bradycardia is an abnormally slow heart rate less than 60 beats per minute. Bradycardia is normally caused by a dysfunction of the sinus node or the development of another natural atrial pacemaker within the heart tissue. In bradycardia, the heart does not beat fast enough to pump blood to the brain and body. Bradycardia can cause fatigue or fainting. Tachycardia is an abnormally fast heart rate generally greater than 100 beats per minute. Tachycardias can originate in the atria (supraventricular tachycardia) or in the ventricles (ventricular tachycardia). These tachycardias can cause the heart not to properly fill up with oxygenated blood. If these arrhythmias are left untreated, they can be potentially life threatening. Fibrillation is normally characterized by a very irregular beating of the heart. If this beating becomes too rapid, the pumping action of the heart can become inefficient and causes improper blood flow to the body. The electrical activity that causes atrial or ventricular fibrillation is very chaotic and uncontrolled. Atrial fibrillation can increase a personï¿½s susceptibility to stroke and can be treated surgically or with medicines in most instances. Ventricular fibrillation occurs in the lower portions of the heart and is immediately life threatening. Many arrhythmias can be present with no harmful symptoms. However, when a physician decides that the arrhythmia must be controlled for the health of the patient, they may suggest changes in diet, medication or the implanting of a medical device to help regulate the beating of the heart.